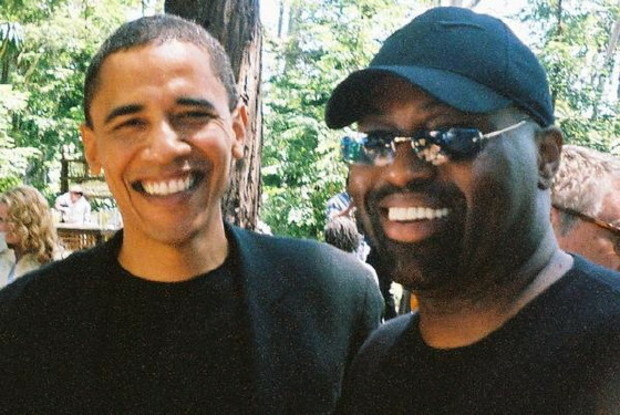 Frankie Knuckles IS the godfather of house. 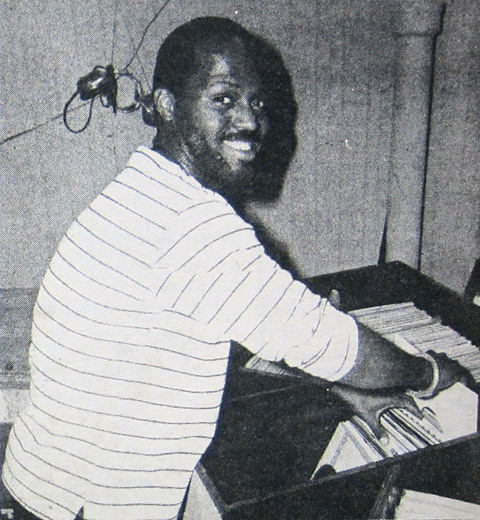 His experiments with looping and extending disco records at his Chicago Warehouse parties in the early 80s gave the genre its name and helped make Frankie one of the most celebrated and respected DJ’s ever. 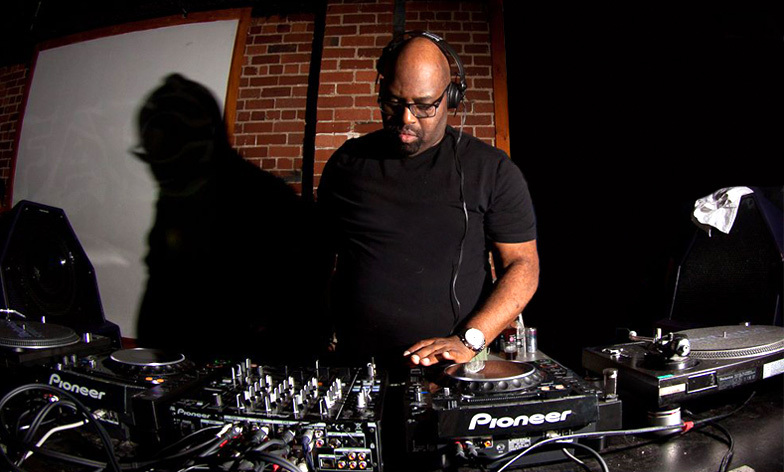 But it’s been more than thirty years since he started spinning, and despite remixing everyone from Michael Jackson to the Pet Shop Boys, taking his place in the Dance Music Hall of Fame, and having both a street and day named after him in Chicago, his legendary status and immeasurable influence are lost on the majority of today’s house music fans. It is perhaps a tribute to his original vinyl manipulations that the genre he created has evolved and mutated into so many different sub-genres, but conversely the type of soulful, emotive, vocal led dance music that he helped produce and promote seems to be one genre that has been left behind. Clearly the godfather still watches over his baby carefully, and it is this disaffection with certain trends in dance music, along with the demoralising effects of the current economic and social climate, that has inspired him to release ‘Motivation Too’. A follow up to 2001’s ‘Motivation’ mix, which he created as a reaction to the horrific events of 9/11, this latest instalment represents his first major release in over six years, and once again seeks to motivate people through the power of music. 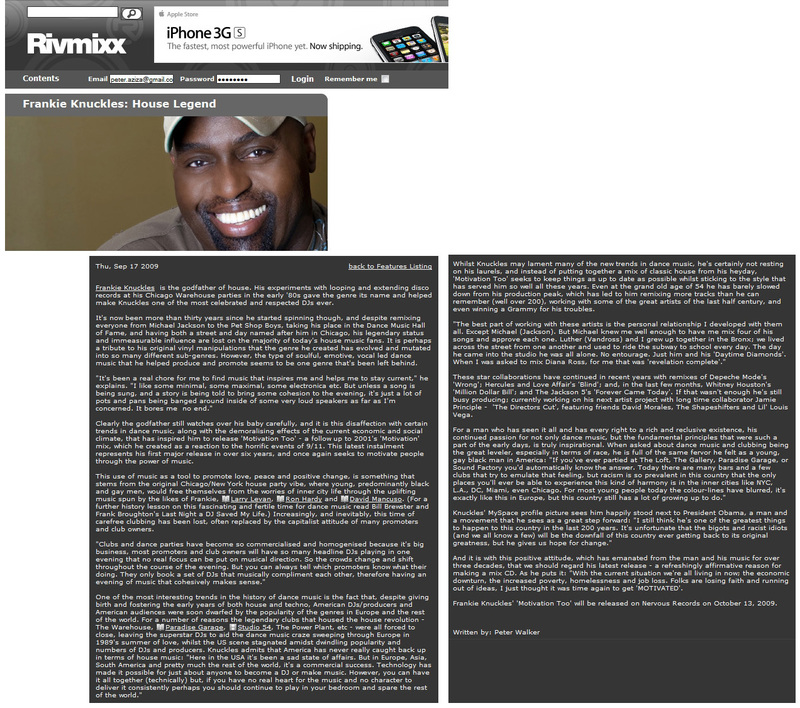 This use of music as a tool to promote love, peace and positive change, is something that stems from the original Chicago/New York house party vibe, where young, predominantly black and gay men, would free themselves from the worries of inner city life through the uplifting music spun by the likes of Frankie, Larry Levan, Ron Hardy and David Mancuso. (For a further history lesson on this fascinating and fertile time for dance music read Bill Brewster and Frank Broughton’s ‘Last Night a DJ Saved My Life’) Increasingly, and inevitably, this time of carefree clubbing has been lost, often replaced by the capitalist attitude of many promoters and club owners. But whilst Frankie may lament many of the new trends in dance music, he’s certainly not resting on his laurels, and instead of putting together a mix of classic house from his heyday, ‘Motivation Too’ seeks to keep things as up to date as possible whilst sticking to the style that has served him so well all these years. Even at the grand old age of 54 he has barely slowed down from his production peak, which has led to him remixing more tracks than he can remember (well over 200), working with some of the great artists of the last half century, and even winning a Grammy for his troubles. These star collaborations have continued in recent years, with remixes of Depeche Mode’s ‘Wrong’, Hercules and Love Affair’s ‘Blind’, and just in the last few months, Whitney Houston’s ‘Million Dollar Bill’ and The Jackson 5’s ‘Forever Came Today’. If that wasn’t enough he’s still busy producing; currently working on his next artist project with long time collaborator Jamie Principle, entitled ‘The Directors Cut’, featuring friends David Morales, The Shapeshifters and Lil’ Louis Vega. And it is with this positive attitude that has emanated from the man and his music for over three decades that we should regard his latest release, a refreshingly affirmative reason for making a mix CD. As he puts it, “With the current situation we’re all living in now; the economic downturn, the increased poverty, homelessness and job loss. Folks are losing faith and running out of ideas, I just thought it was time again to get ‘MOTIVATED’. ← Sasha and Ableton; a bad mix?